If you bought an earlier version of the program within 30 days before the release of the new major version, you can get the activation key for the new version for free. 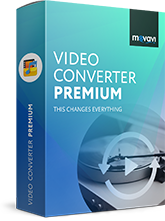 If you are a registered user of Movavi Video Converter Premium, you can get the latest version of Movavi Video Converter Premium at 30% OFF! To receive your 30% discount, please enter your email or activation key below. 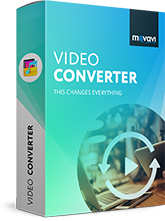 If you are a registered user of Movavi Video Converter, you can get the latest version of Movavi Video Converter at 30% OFF! To receive your 30% discount, please enter your email or activation key below. 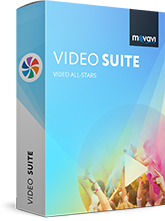 If you are a registered user of Movavi Video Suite, you can get the latest version of Movavi Video Suite at 30% OFF! To receive your 30% discount, please enter your email or activation key below. 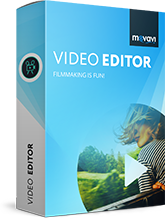 If you are a registered user of Movavi Video Editor, you can get the latest version of Movavi Video Editor Plus at 30% OFF! To receive your 30% discount, please enter your email or activation key below. 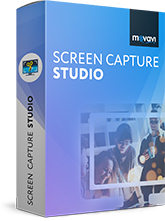 If you are a registered user of Movavi Screen Recorder Studio, you can get the latest version of Movavi Screen Capture Studio at 30% OFF! To receive your 30% discount, please enter your email or activation key below. If you are a registered user of Movavi Screen Capture, you can get the latest version of Movavi Screen Recorder at 30% OFF! To receive your 30% discount, please enter your email or activation key below. If you are a registered user of Movavi Screen Capture, you can get the latest version of Movavi Screen Capture Pro at 30% OFF! To receive your 30% discount, please enter your email or activation key below. If you are a registered user of Movavi Game Capture, you can get the latest version of Movavi Game Capture at 30% OFF! To receive your 30% discount, please enter your email or activation key below. 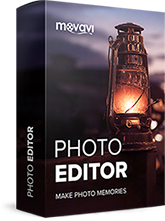 If you are a registered user of Movavi Photo Editor, you can get the latest version of Movavi Photo Editor at 30% OFF! To receive your 30% discount, please enter your email or activation key below. 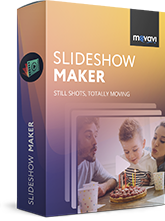 If you are a registered user of Movavi Slideshow Maker, you can get the latest version of Movavi Slideshow Maker at 30% OFF! To receive your 30% discount, please enter your email or activation key below. 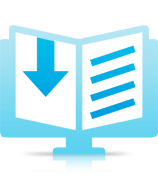 If you are a registered user of Movavi PDF Editor, you can get the latest version of Movavi PDF Editor at 30% OFF! To receive your 30% discount, please enter your email or activation key below. If you are a registered user of Movavi Video Converter Premium for Mac, you can get Movavi Video Converter Premium for Mac at 30% OFF! To receive your 30% discount, please enter your email or activation key below. If you are a registered user of Movavi Video Converter for Mac, you can get the latest version of Movavi Video Converter for Mac at 30% OFF! To receive your 30% discount, please enter your email or activation key below. If you are a registered user of Movavi Video Editor for Mac, you can get Movavi Video Editor Plus for Mac at 30% OFF! To receive your 30% discount, please enter your email or activation key below. 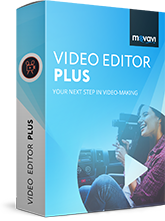 If you are a registered user of Movavi Video Editor Plus for Mac, you can get the latest version of Movavi Video Editor Plus for Mac at 30% OFF! To receive your 30% discount, please enter your email or activation key below. 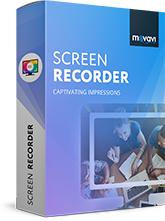 If you are a registered user of Movavi Screen Recorder Studio for Mac, you can get the latest version of Movavi Screen Capture Studio for Mac for 30% OFF! To receive your 30% discount, please enter your email or activation key below. If you are a registered user of Movavi Screen Capture for Mac, you can get the latest version of Movavi Screen Recorder for Mac at 30% OFF! To receive your 30% discount, please enter your email or activation key below. 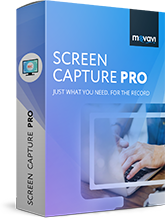 If you are a registered user of Movavi Screen Capture for Mac, you can get the latest version of Movavi Screen Capture Pro for Mac at 30% OFF! To receive your 30% discount, please enter your email or activation key below. If you are a registered user of Movavi Photo Editor for Mac, you can get the latest version of Movavi Photo Editor for Mac at 30% OFF! To receive your 30% discount, please enter your email or activation key below. If you are a registered user of Movavi Slideshow Maker for Mac, you can get the latest version of Movavi Slideshow Maker for Mac at 30% OFF! To receive your 30% discount, please enter your email or activation key below. 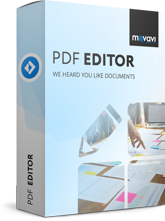 If you are a registered user of Movavi PDF Editor for Mac, you can get the latest version of Movavi PDF Editor for Mac at 30% OFF! To receive your 30% discount, please enter your email or activation key below.